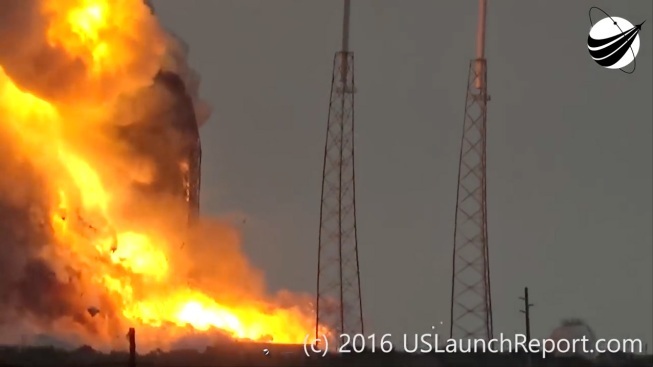 On Thursday, a SpaceX rocket, along with a satellite leased in part by Facebook, were destroyed in a launch pad explosion at Cape Canaveral. The explosion, in which no people were harmed, occurred during preparation for a launch that had been scheduled for Saturday. A Facebook spokesperson said the company was “disappointed by the loss” of the Israeli-built Amos 6 satellite. The portion of the satellite that Facebook had leased would have served to bring internet access to parts of sub-Saharan Africa, NBC News reported, as a part of Facebook's mission to connect people around the world through the Internet. Both Facebook CEO Mark Zuckerberg and SpaceX CEO Elon Musk have discussed plans to use low-orbit satellites to bring high-speed internet access to the many regions of the planet that don't have it. While building a space-based internet is not a new idea, it's one that has taken off once again largely due to new technology and lower launch costs. "Now with even faster computers and cheaper satellites, there is a whole lot of interest in creating a bunch of new systems to do this," James Muncy, co-founder of the Space Frontier Foundation, told NBC News.